TBILISI, DFWatch–Tbilisi City Court Thursday evening dismissed Rustavi 2’s CEO and appointed two persons to run Georgia’s largest TV company until the end of a lawsuit that will decide its ownership. 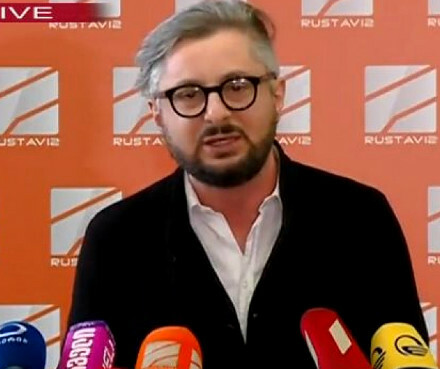 The ruling of the judge, Tamaz Urtmelidze, reads that it has to be reflected immediately in the civil registry documentation, thus paving way to Kibar Khalvashi side for immediate takeover of Rustavi 2, the country’s largest TV channel. 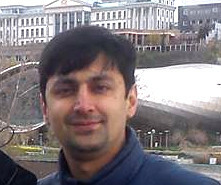 One of those persons appointed by the court, Davit Dvali, is a former co-owner of the company, as well as Kibar Khalvashi, who sued current owners of Rustavi 2 and recently won a highly controversial dispute in the Tbilisi City Court. 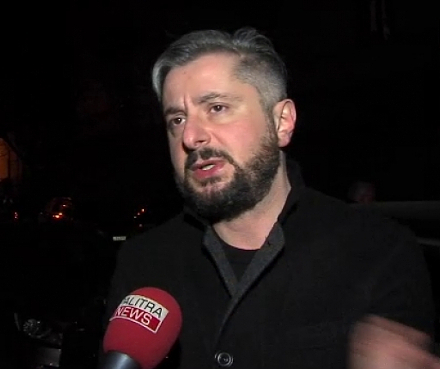 Another person appointed is Revaz (Rezo) Sakevarishvili, deputy director of the country’s second largest TV company, Imedi, which is regarded as having pro-government sentiments. Rustavi 2’s coverage, on the other hand, has been strongly leaning towards United National Movement, the party led by Mikheil Saakashvili, the former president who now is regional governor in Odessa, Ukraine. Rustavi 2’s current management views the ruling as unlawful because the Constitutional Court three days ago temporarily suspended the government’s power to immediately enforce decisions in first instance courts if they are appealed to a higher instance court. Kibar Khalvashi didn’t comment on the dramatic new development on Thursday but wrote that he will be publishing a statement on Friday. “Congratulations, my friends. 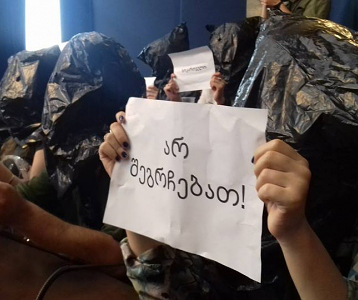 Dictatorship has been officially established in Georgia now,” Rustavi 2 current CEO Nika Gvaramia wrote on Facebook. 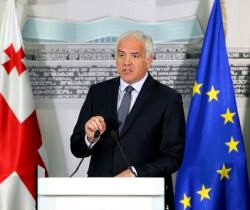 Later he said at a briefing in the Rustavi 2 newsroom that the government has eliminated even the traces of the democracy in Georgia and was steering the country away of Euro-Atlantic integration towards Russia and Eurasian Union. Davit Dvali possessed one third of the company’s shares before, he argues, it was taken away illegitimately by the previous government. Then the TV company was taken over by Kibar Khalvashi, who used to be a friend of Irakli Okruashvili, then minister of defense and Saakashvili’s closest ally. After Okruashvili fell out of favor in 2006, Khalvashi claims, he was forced to cede Rustavi 2 to the “Saakashvili regime.” He argues that the Karamanashvili brothers, who own a majority shares in the company, are figureheads as Rustavi 2 is actually owned by the UNM.